Today is a 5 Minute Snack Day! I have a very healthy snack for you! It’s Banana, Dark Chocolate Cookies! That’s Right! Another delicious, healthy snack. 1/2 cup coconut flour, sifted. I used Bob Red Mill Organic Coconut â€“ in most supermarkets. As I’ve said in prior episodes, I use Artisana Raw Organic Almond Butter. One of the least processed and healthiest almond butter. Go to http://www.artisanaorganics.com to purchase almond butter or you can find Artisana almond butter in your nearest Health Food Store, Whole Foods, Sprouts etc. 1.5 oz Dark Chocolate – I use Taza -Wicked Dark Chocolate bar. Taza has one of the least processed Dark Chocolate in the friggin world. With the “Wicked Dark” containing 95% Dark Chocolate, SWEET is NO longer in the equation. We’re talking HEALTHY HERE! You’ll use ½ of the “Wicked Dark” Chocolate Bar for this recipe. Go to www.tazachocolate.com to purchase “Wicked Dark” Chocolate Bars. Preheat the oven to 350 degrees and line a cooking sheet with baking paper and set aside. In a mixing bowl, combine the coconut flour and banana and mix well. The batter should be very crumbly. In a microwave safe bowl or stovetop, melt the almond butter and pour into the dry mixture. Mix until a thick batter is formed. Break up the Dark Chocolate into small pieces & add to the batter. Form into balls and transfer “8” balls to the lined cookie sheet. Press firmly into a flat, cookie shape and bake for 12-15 minutes. Stick a knife in the cookie to see if it’s done. If the knife comes out dry….the cookies are done! If the knife is still wet, put it back into the oven for a minute or two. Remove and allow to sit for 10 minutes until they firm up slightly. These cookies can be kept at room temperature covered for up to 3 days. These are delicious refrigerated and can also be frozen too. Sugar – 8gms Primarily from the honey! So you’re talking about organic, natural sugar. NOT Processed Sugars. We’re talking Glucose & Fructose in honey. 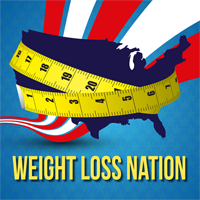 Weight Loss Nation participates in â€œMeet Upsâ€ in the Tampa Bay, Florida area. Under no circumstances will Weight Loss Nation LLC. be responsible for any loss or damage resulting for your reliance on nutritional information, or any other information from this site. Information is offered as an opinion. Due your own due diligence.